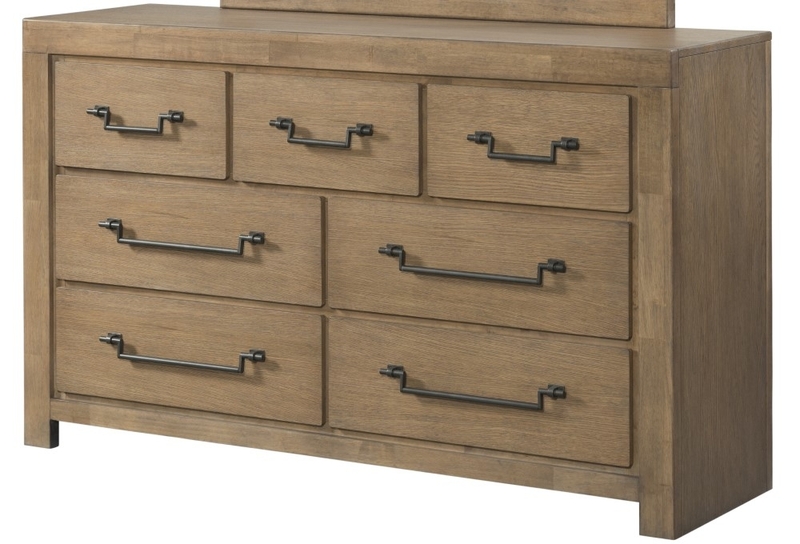 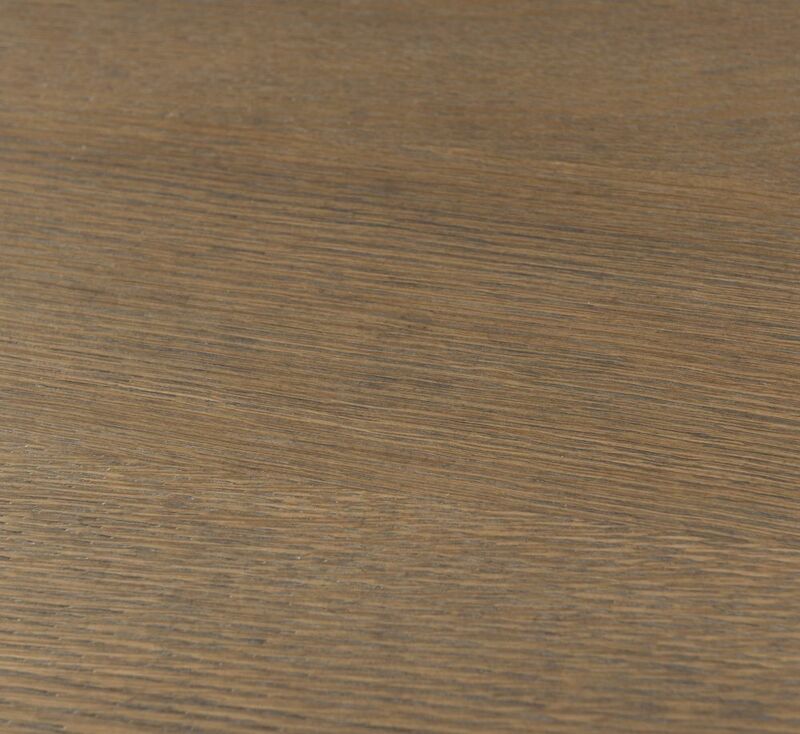 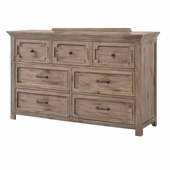 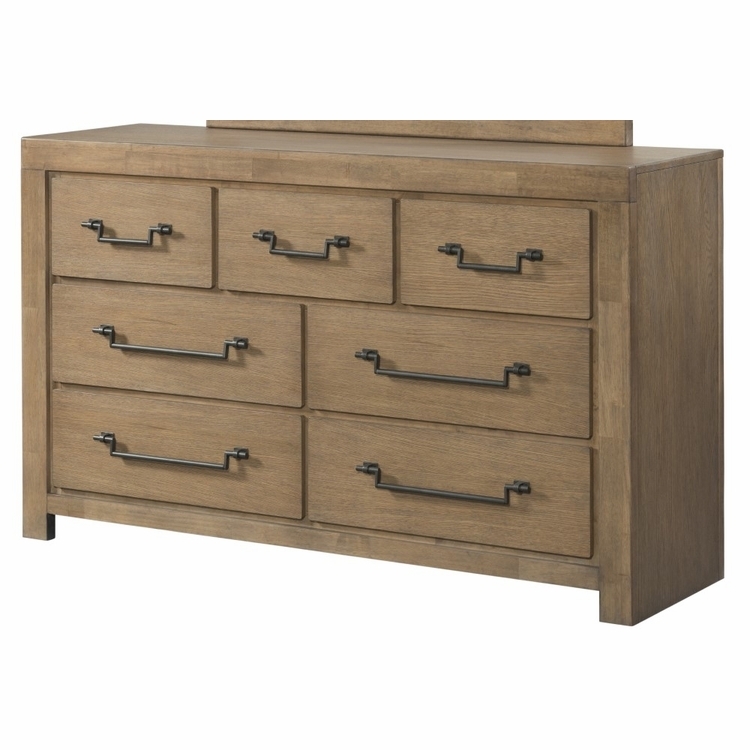 Lane Furniture presents our Urban Swag Dresser with great Casual Rustic Contemporary styling & function done in select straight grain oak veneers finished in a very dry Sherwin Williams Cask Oak. 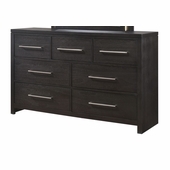 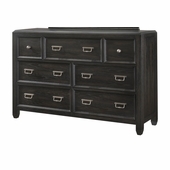 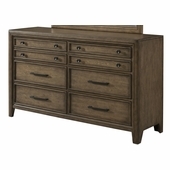 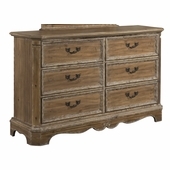 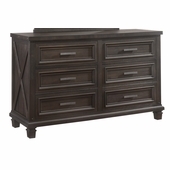 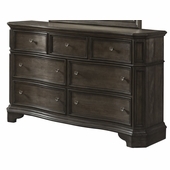 This Large scale case piece is complimented by oversized charcoal bail hardware. 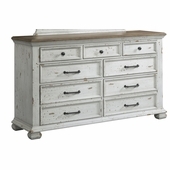 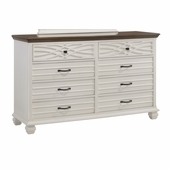 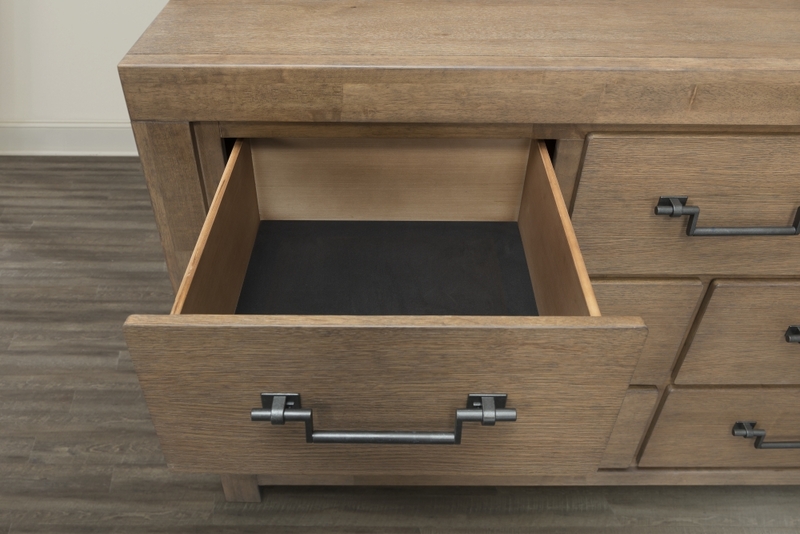 All case pieces include easy opening full extension drawers with snag free interiors that provide great storage. 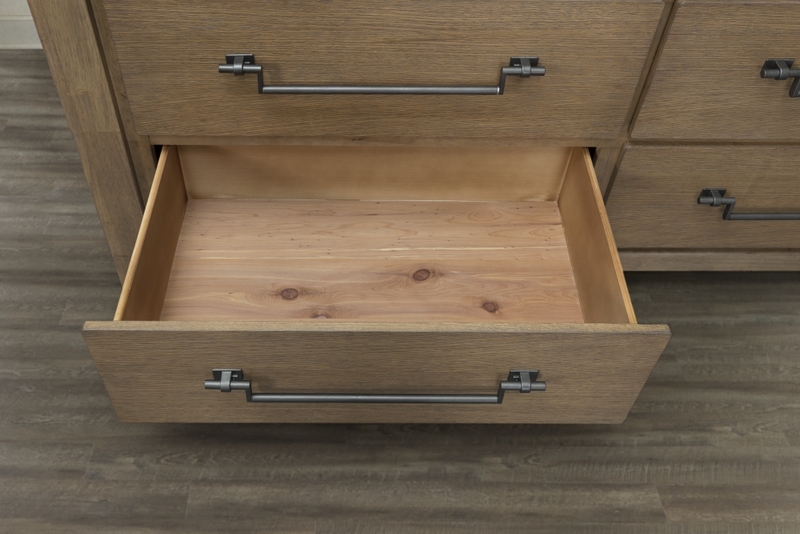 All bottom case drawers are cedar lined.